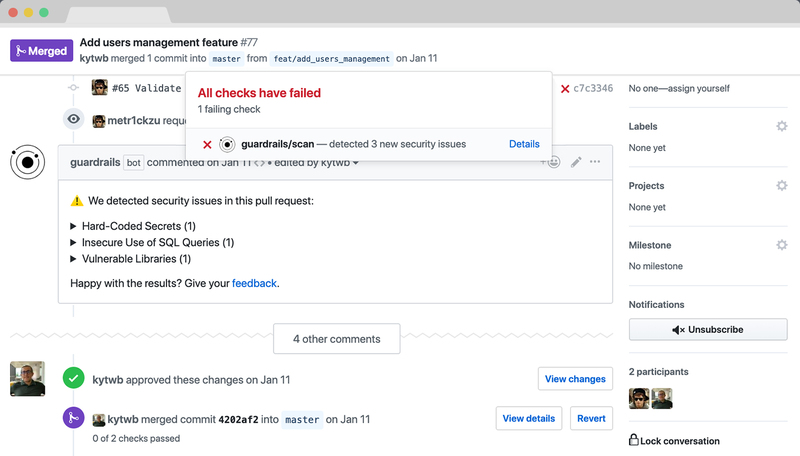 Continuous security feedback for your GitHub repositories. Shipping secure code made easy. Empowering modern development teams to find, fix, and prevent security vulnerabilities. Get setup in minutes and receive automated security feedback in real-time. Get informed for relevant security issues only, including fixing advice. Taking the best open-source solutions and unifying them into a high-quality solution. GuardRails is evolving rapidly with the help of renowned supporters from the cyber-security space.